Virtually all new technology has a “hype” stage prior to the average Mary Joe being able to experience it. 3-D printers are the latest example of this phenomenon and with Autonomous vehicles, we are in this “hype” stage. Like it or not, these driverless beasts are coming. In studying car crashes from 2005 to 2007, NHTSA determined that 93.5% of crashes were due to driver-related reasons. Making machines that consistently perform the driving tasks better than humans can is easy; navigating the chaos on our roads while moving at high speeds is much more difficult. 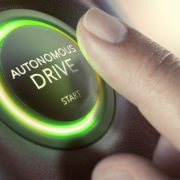 Although many of today’s new cars already stop on their own, independently maintain lane position, slow down and speed up based on the traffic ahead, and parallel park without human assistance, they are still a couple of levels short of “Fully Autonomous”. Regardless of this continuing need for human intervention, this market will change as today’s younger generation ages and gains more buying power. It will start with teenagers not being enthused and eager to get their drivers licenses (wait, that is happening already), and it will grow as the young generation keeps their heads buried in their smart toys only to wake up at the age of 20 and proclaim, “Where the heck are we?”, when they are right down the street from their house. It has started in a select few cities and is metastasizing into controlled areas and fixed route operations. Imagine never getting mad at bad drivers, or never even knowing if another vehicle did something stupid, while eliminating all stress from the daily commute! I hate it – what about you?